Get Your Favorite Beer Delivered! View our legandary beer from over 40 countries. We pride ourselves on craft Beer. We feature beer from over 35 states. We feature a over 70 varieties of beer in kegs. Plus a free 25lb bag of ice with ever keg purchase. Beer in Pittsburgh - We are your source! SAVE-MOR Beer & Pop Warehouse is a family owned business located on Pittsburgh's East side just off the Parkway East (I-376) on the way to the Waterfront. Our mission is simple ... to provide our customers with the beverages, snacks and picnic/party supplies that they need, when they need it. What differentiates us from the others? We carry a wide range of brands, some of which are hard to find, at competitive prices. 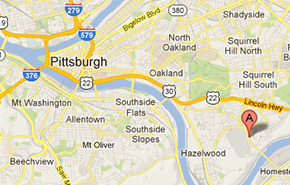 So if you live in the Pittsburgh area, or you're just passing through, do yourself a favor and stop in to visit us. You'll be glad you did.